You might want to consider this your opposing viewpoints edition of the Latest Additions… I have to share the fact that I *love* this time of year, but I also remember that I used to *not* love this time of year. Yes, I’m talking about getting ready to go back to school! Oh, the abundance of school supplies! Pens! Notebooks! Book Covers! Markers! Glue! And all manner of Good Things! But I understand that my feeling like a kid in a candy store comes at the expense of others, i.e. school children. So if you see me out and about, skipping down the school supply aisles, and it makes you feel bad -I hereby do declare, “I am sorry for showing my paper goods glee!” A happy only moment? 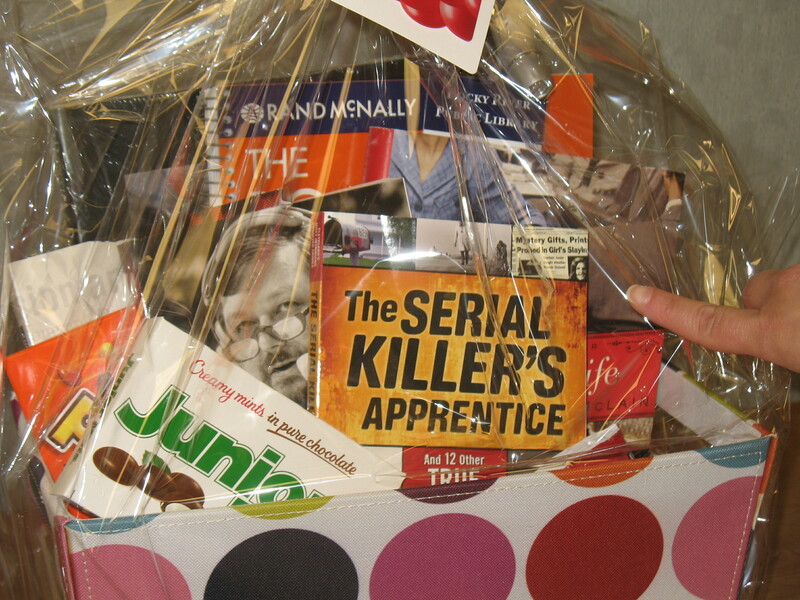 We have a new basket to win for the Adult Summer Reading participants!